The Democratic Republic of Congo, Africa’s largest country, is now caught up in the aftermath of its first proper election since independence from Belgium in 1960. Toward the end of last year one could say, after years of nonstop wars and massive carnage, the country was 90% bereft of fighting. The authoritarian regime of President Joseph Kabila was still in power, but at last it had been pressured to call an election by the African Union, the Western aid-givers, some of the big Western businesses that mine in the mineral-rich country and, not least, the Catholic Church. It’s inevitable that the Congo will now face another bout of upheaval. The crowds and the riot police may well continue to confront each other in Kinshasa, although at the moment things are reasonably quiet. There will, for certain, be widespread passive resistance—over the last decade or more there has been an upwelling of a grassroots movement. Foreign investors, fearing instability, will wait and see. Maybe the UN will refuse to recognize the new government. That would be a momentous step. The UN is heavily involved in peacekeeping. It first was a presence in the 1960s when civil war broke out after independence. The last eight years it has been the UN’s biggest peacekeeping deployment ever. Later, after independence, the Soviet Union made a large effort to “capture” Congo’s political leaders and push the US, Belgium ,and France aside. It supported Patrice Lumumba who was the Congo’s first prime minister. Congo was the first African country to become part of the “tug-of-war” between the two superpowers. Allen Dulles, the head of the CIA, ordered the Congo’s station chief to remove Lumumba. Washington sent him vials of poisons. In fact Lumumba was murdered with Mobuto’s connivance while visiting the province of mineral-rich Katanga which some Western countries had helped secede. 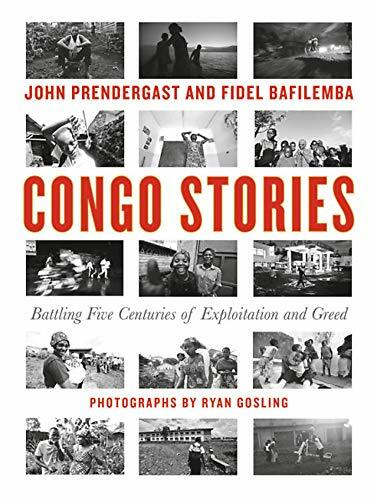 Not coincidentally, both Ambassador Burden and Dulles had financial interests in the Congo. All this is well documented. The US, Britain, France, the World Bank, and the International Monetary Fund started giving General Mobutu, who had staged a coup in 1960 and ruled with an iron fist for 32 years until he was driven out by a popular revolt, enormous amounts of aid—the US itself over the years gave around a billion dollars. President Ronald Reagan called Mobutu “a voice of good sense and good will.” He was President H. W. Bush’s first African state official visitor with Bush calling him “one of our most valued friends.” Mobutu amassed for himself a fortune. Perhaps the Congo is at its darkest just before sunrise. Let us hope so, even if its history suggests otherwise.